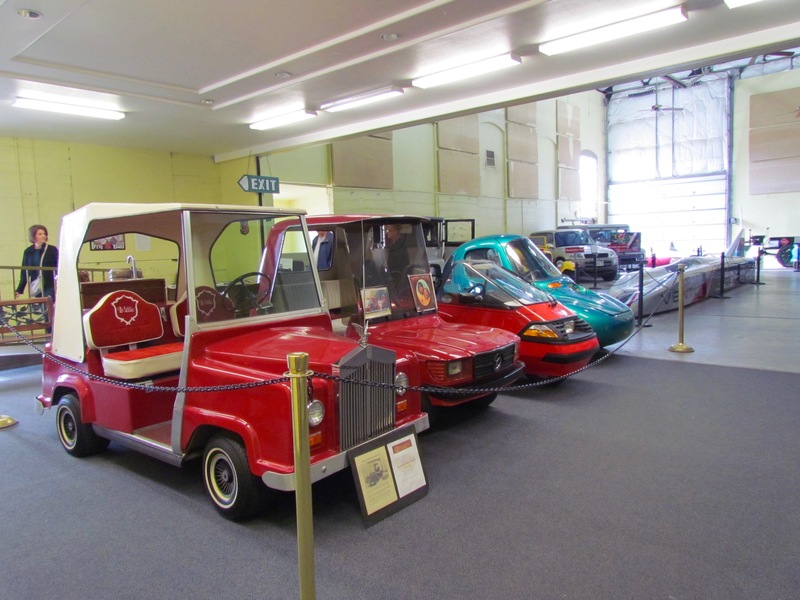 There’s a line in Bobby Troup’s song about getting your kicks while traveling west that goes: “Kingman, Barstow, San Bernardino.” You can still get your kicks in Kingman, where the Route 66 Museum celebrates the community’s history and where the electric car museum housed in the same building looks back and forward at the same time. 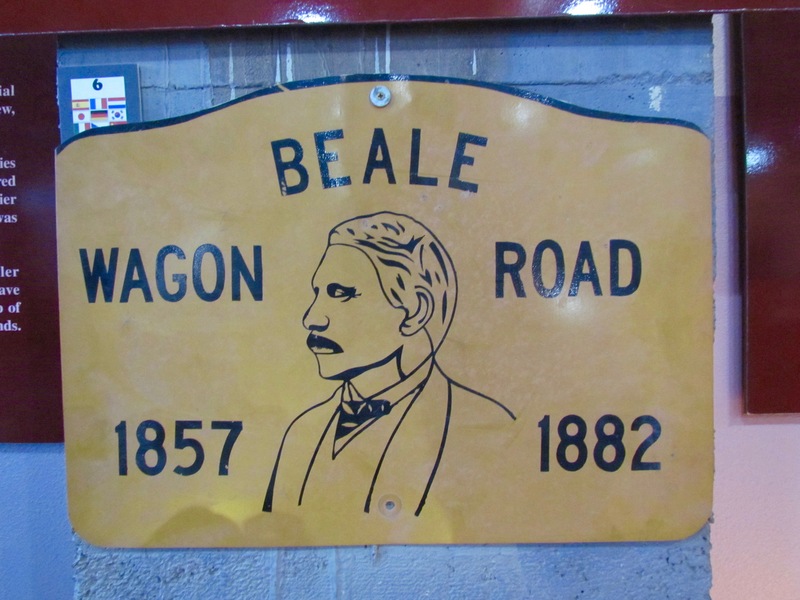 In the late 1850s, the U.S. War Department required a wagon road be built along the 35th Parallel and sent Mexican-American War hero Lt. Edward Beale to lead the survey party. 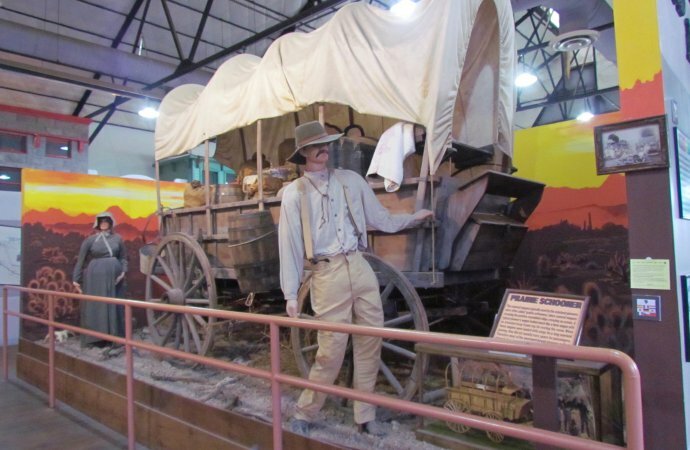 What at first was known as Beale’s Wagon Road would become world famous as historic Route 66, the Mother Road. 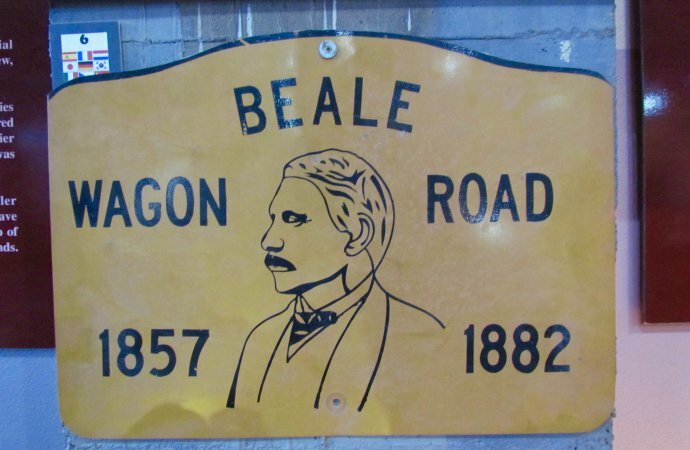 The Atlantic and Pacific Railroad also followed Beale’s route, and in 1882 one of its sidings became the site of a city named for Lewis Kingman, the civil engineer who laid out the rail route westward from Missouri. 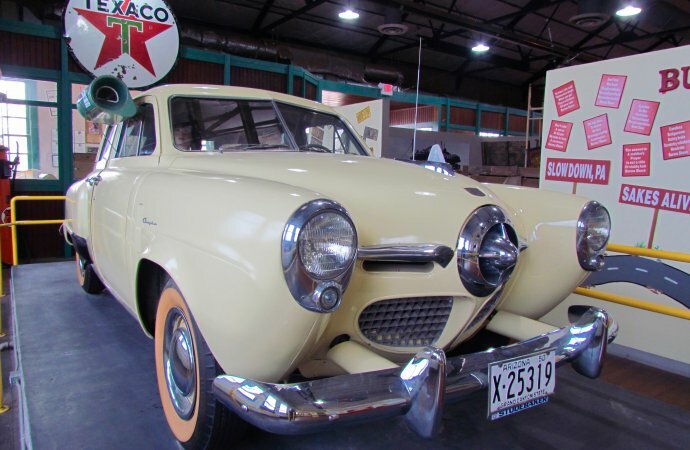 During World War II, the U.S. military established a major airfield and training base just north of Kingman, with an auxiliary field just south of community (after the war, Ford acquired the auxiliary facility and turned it into an automotive proving ground). 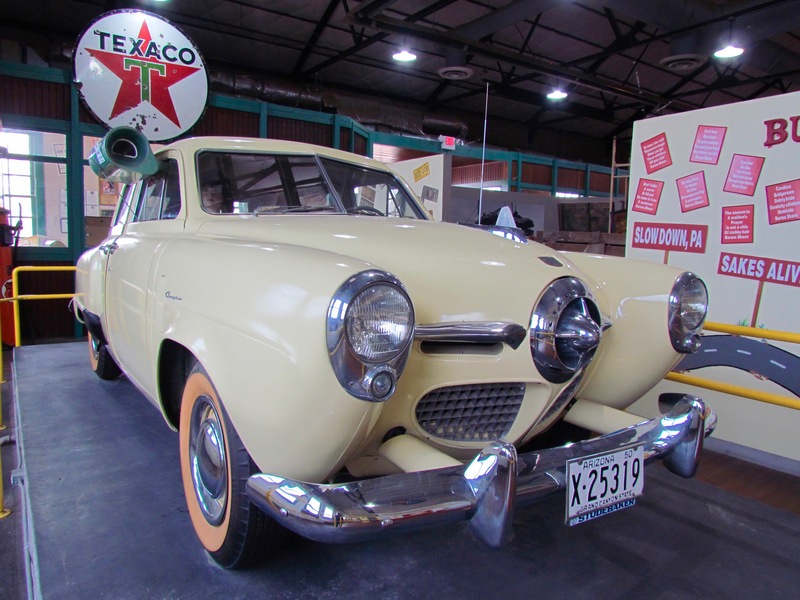 The air and auto bases were responsible for waves of the community’s growth. 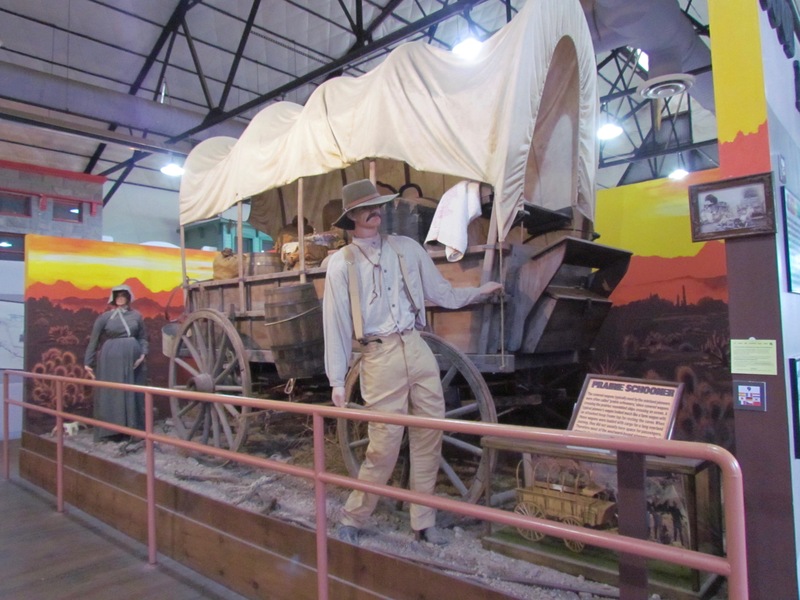 The first had occurred back at the turn of the century when gold was discovered nearby. 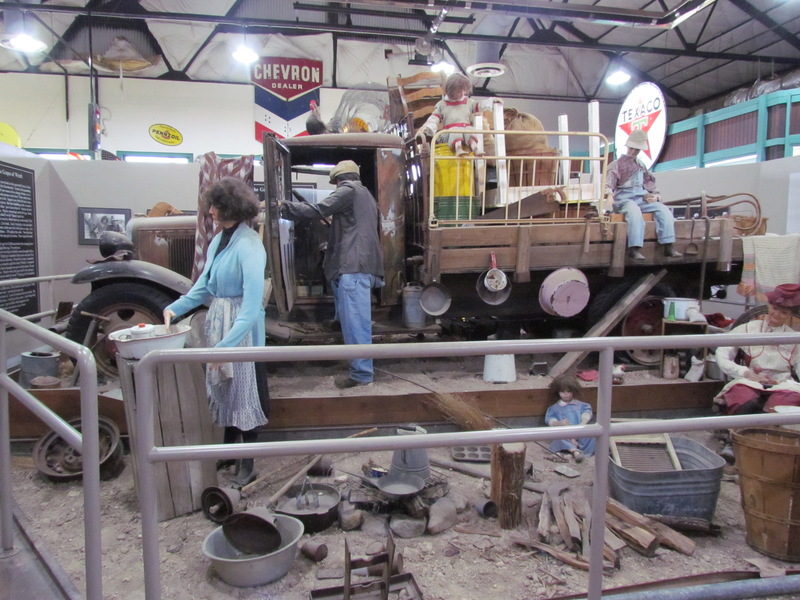 There also would be copper and turquoise mining operations in the area, and early in the 20th Century, the Desert Power & Water Company built what would become known as the Kingman Powerhouse to provide electricity to the community and the surrounding mining and ore-processing operations. 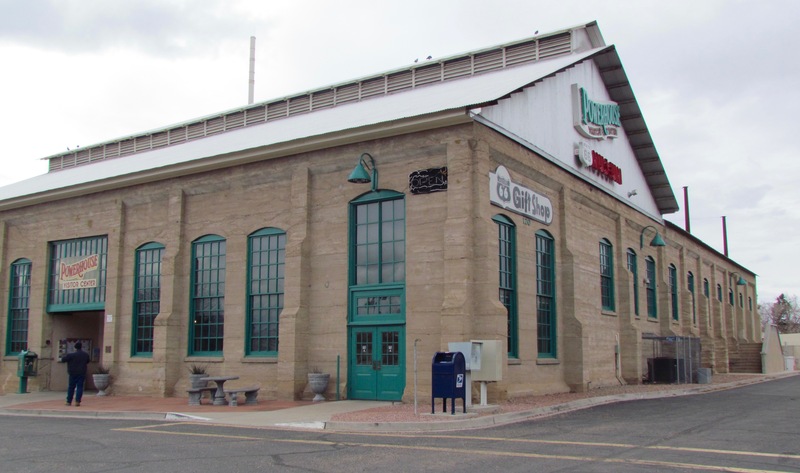 The powerhouse served its intended purpose for nearly 30 years, until the Hoover Dam went into operation about 100 miles to the north, leaving the Kingman facility unneeded. 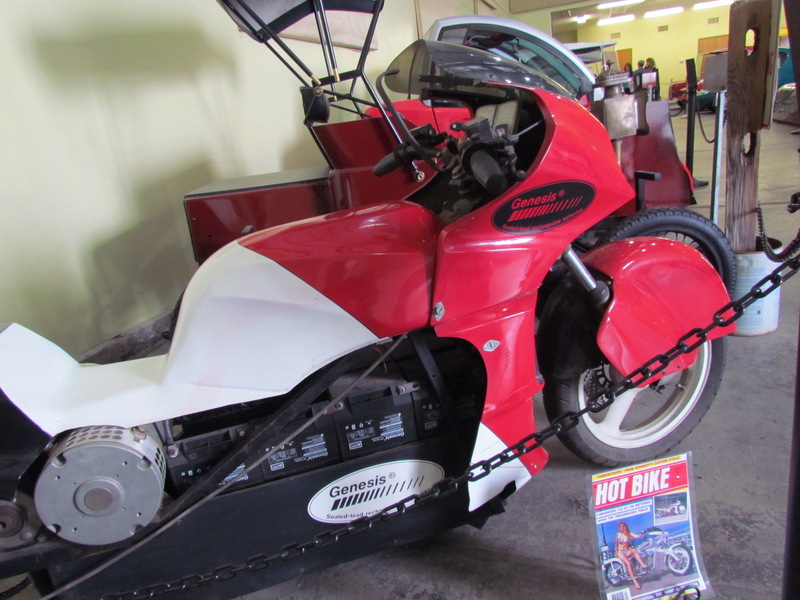 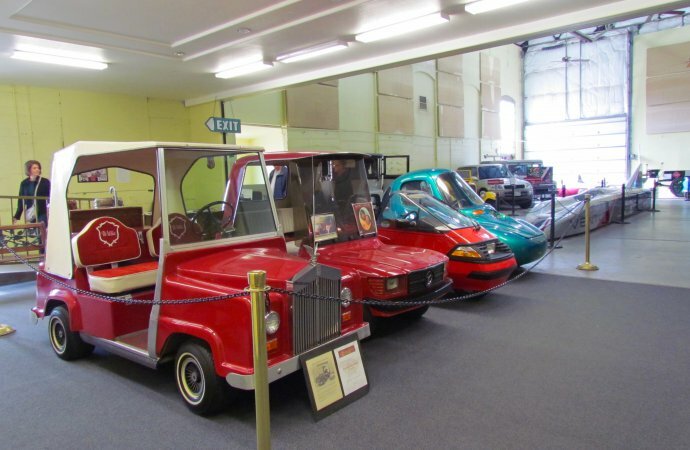 However, the building had been made from reinforced concrete — the first such structure in the area — and despite deterioration could be refurbished and in 1997 it reopened, housing the local tourism office and the Route 66 Museum and, more recently, the Route 66 Electric Vehicle Museum. 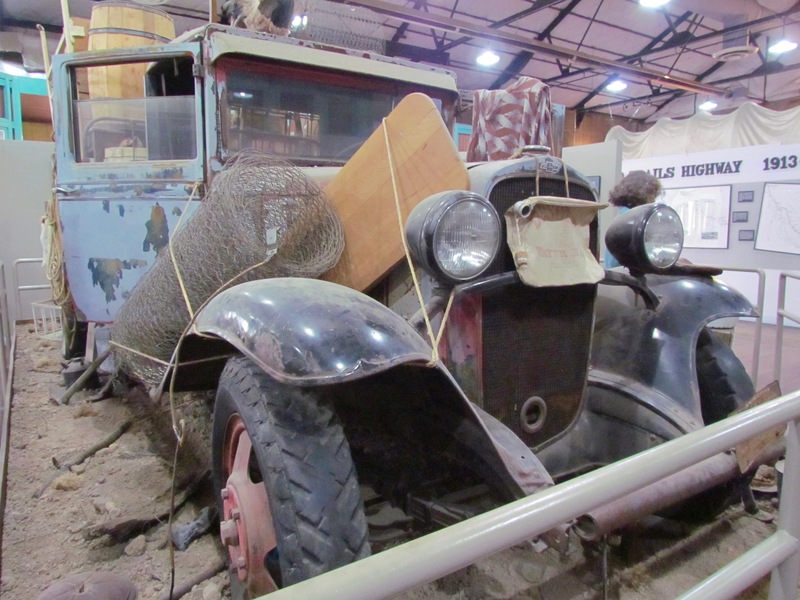 The Route 66 Museum opened in 2001 and portrays what it was like to travel the trail at various times, from the days when it served Native Americans and the arrival of Beale and company, with extensive photos and artifacts and with dioramas featuring a Prairie Schooner covered wagon, a Grapes of Wrath Dustbowl–era Chevrolet truck, and a 1950 Studebaker Champion sedan set against a backdrop of BurmaShave signs. 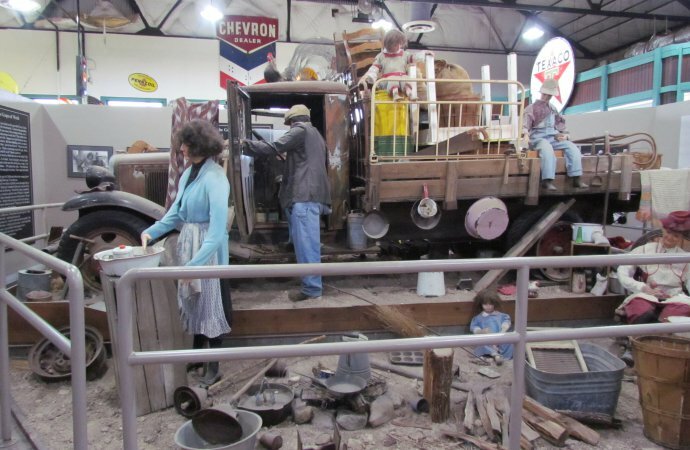 In 2014, Kingman hosted the Route 66 International Festival under the theme, “Crossroads of the Past and Future.” One of the missions was to make Route 66 an electric highway with recharging stations from end to end. 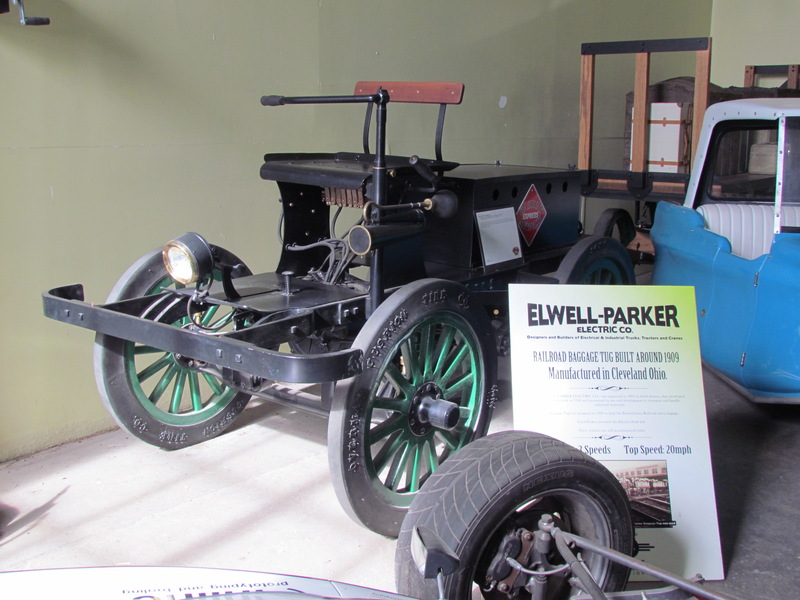 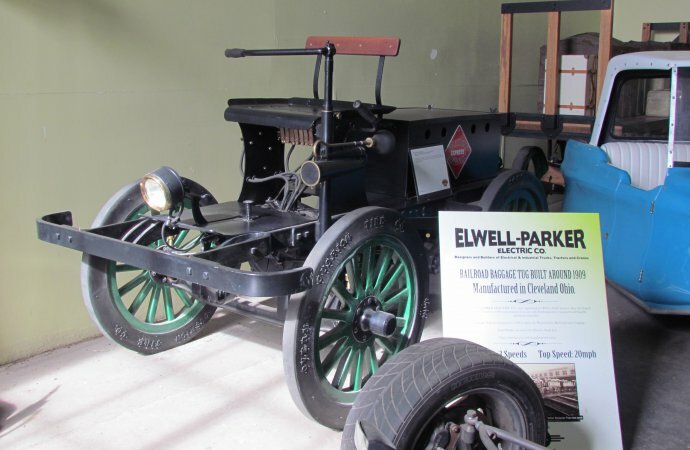 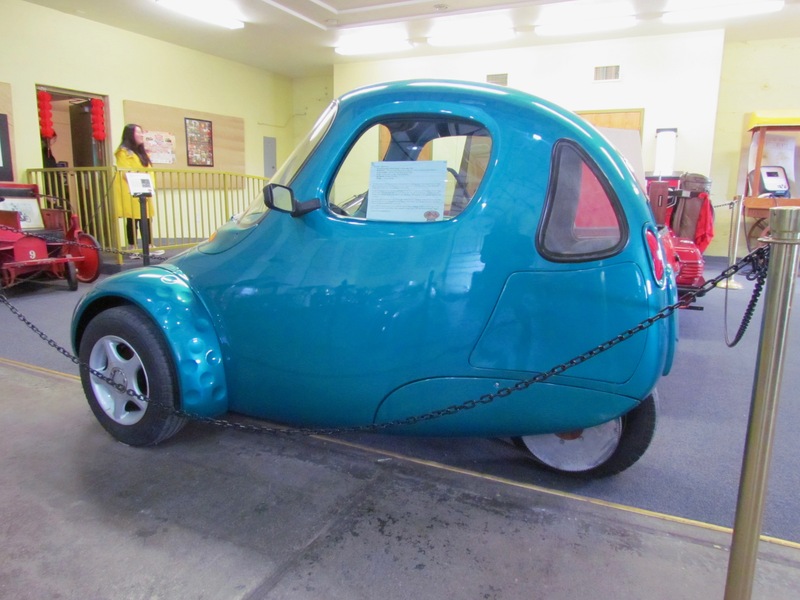 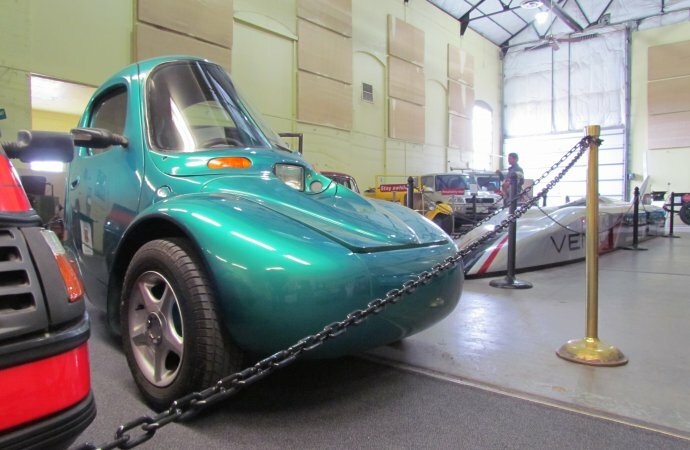 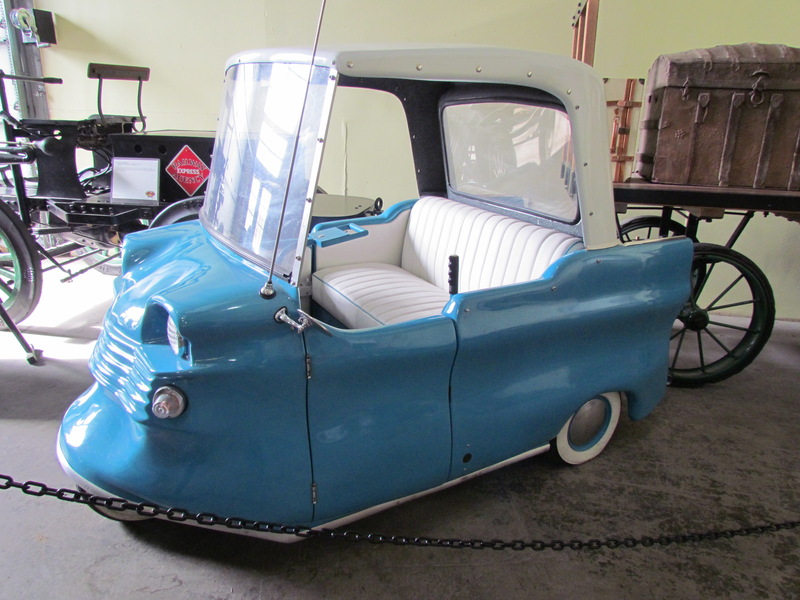 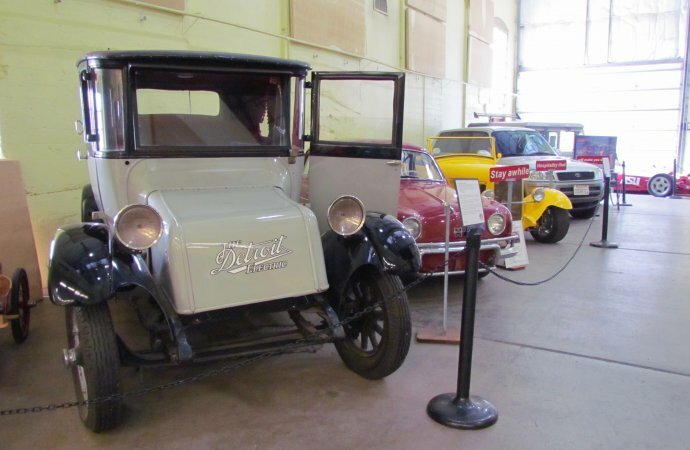 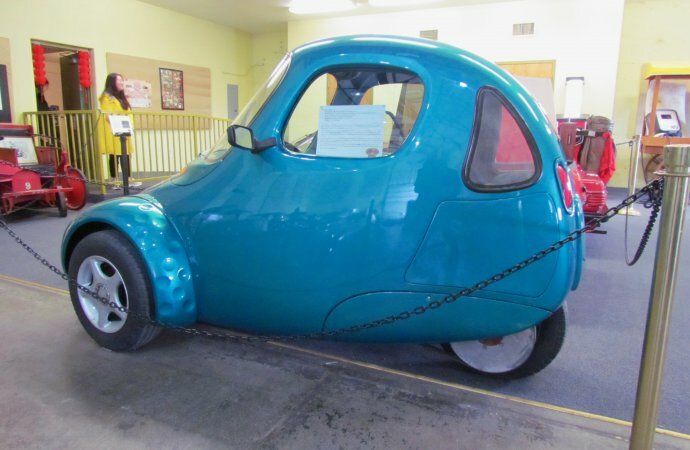 As part of that effort, the Historic Electric Vehicle Association opened an EV museum in the Kingman Powerhouse, where around two dozen EVs are on display. 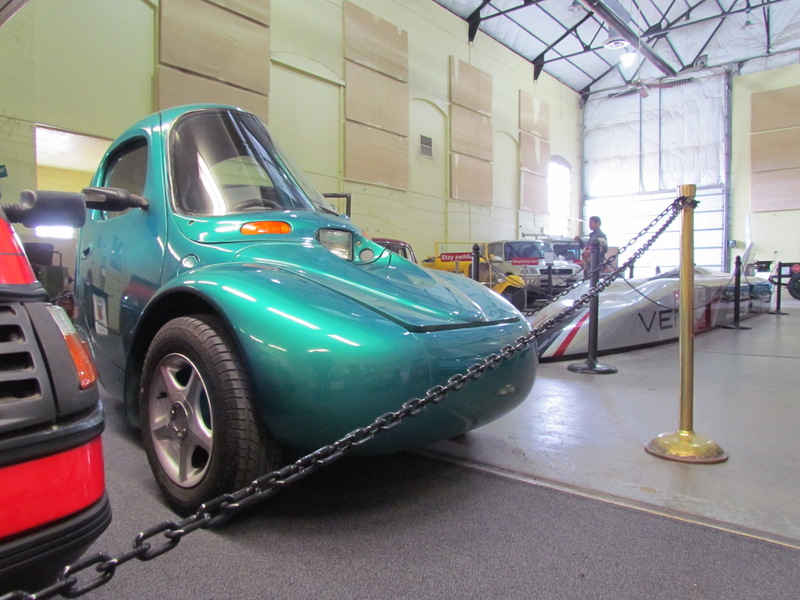 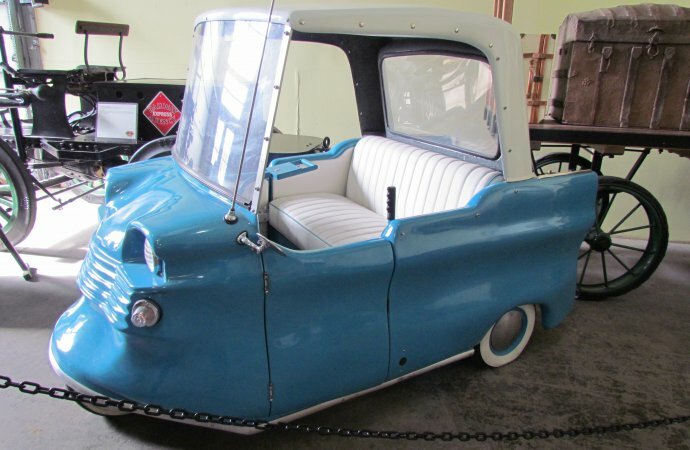 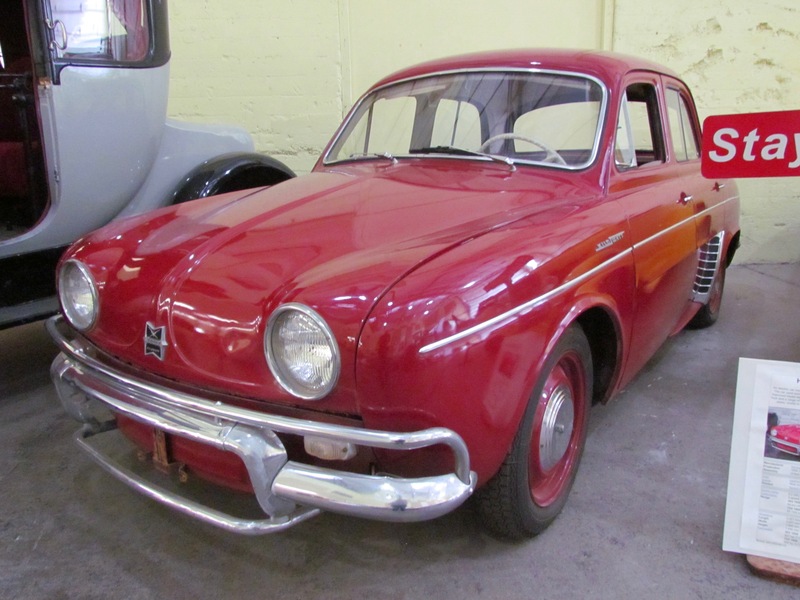 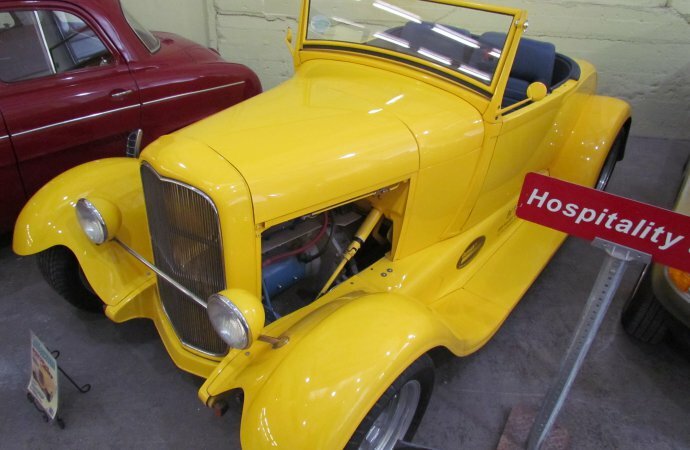 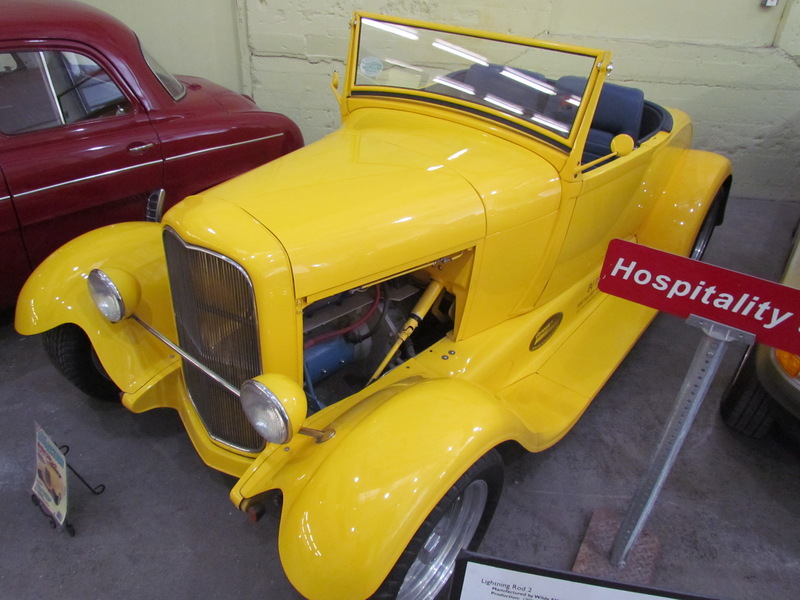 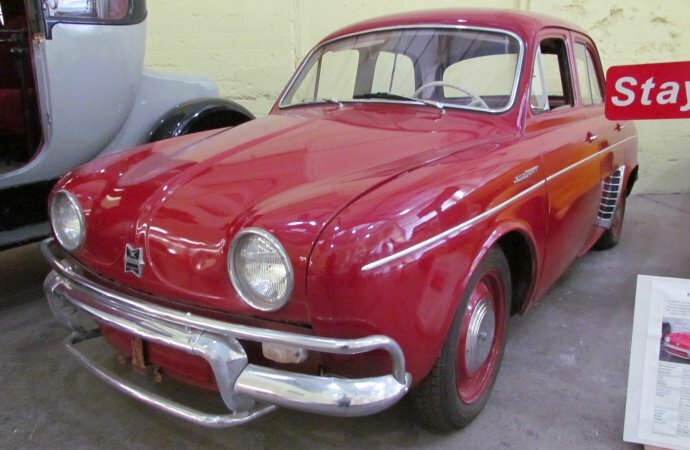 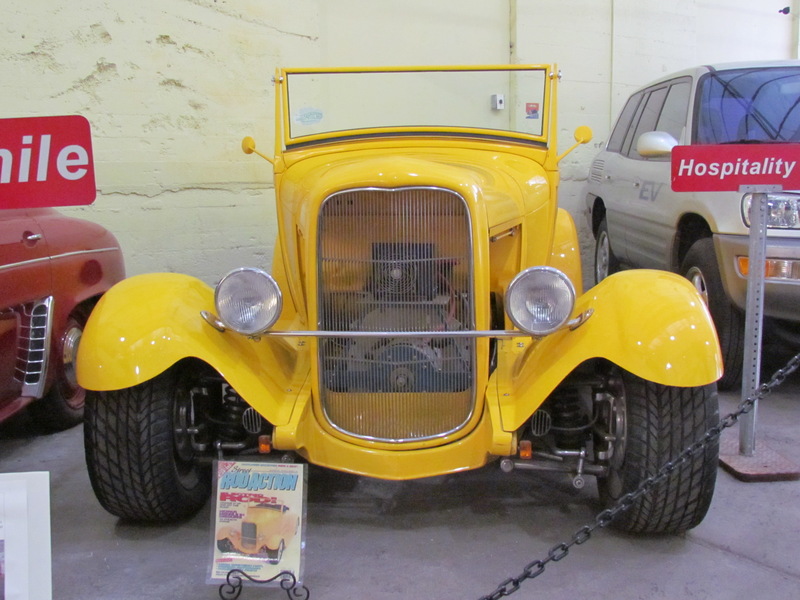 The EV group, which is based in Washington State, has around 100 vehicles in its collection, a number recently swelled by a dozen-vehicle donation by the Petersen Automotive Museum in Los Angeles. 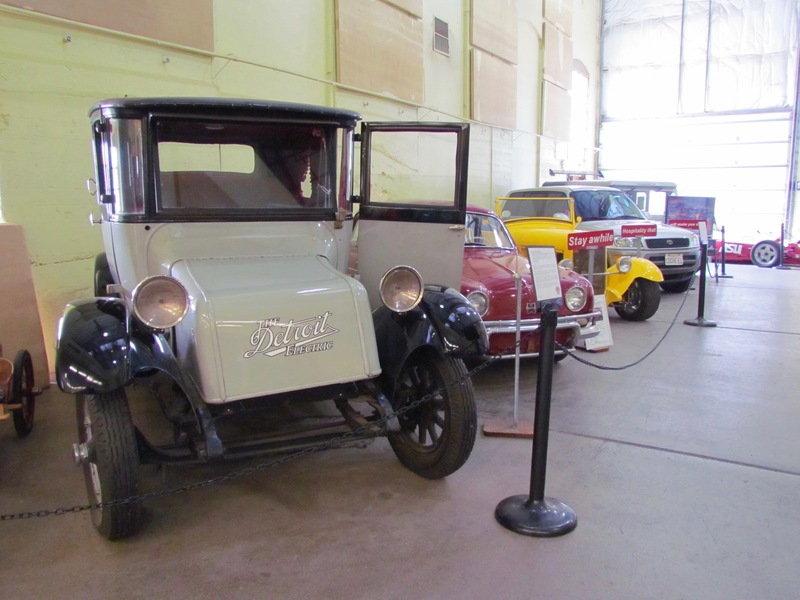 With more cars than room to showcase them, the EV group is working with and beyond the Kingman community to raise money to provide its own museum facility somewhere along Kingman’s section of historic Route 66. 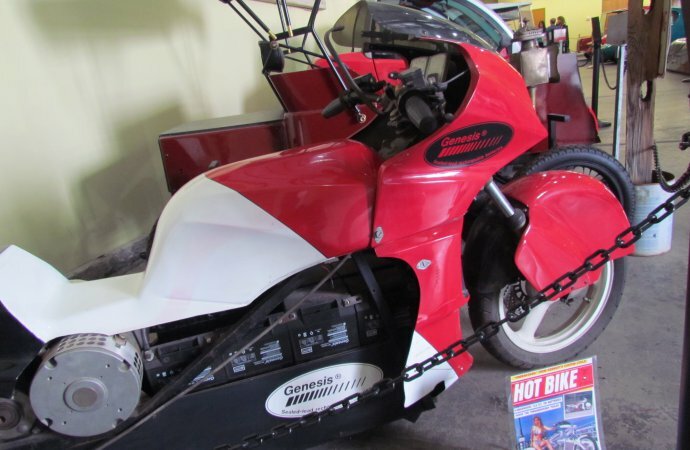 I currently own an Electric Shopper FG 75 & a Taylor Dunn Trident, plus a lot of literature on others, Marketeer, Electra King (all 3 series), Electric Shopper S 56, Markett, Marketour, Mobileet, Nepa & more. 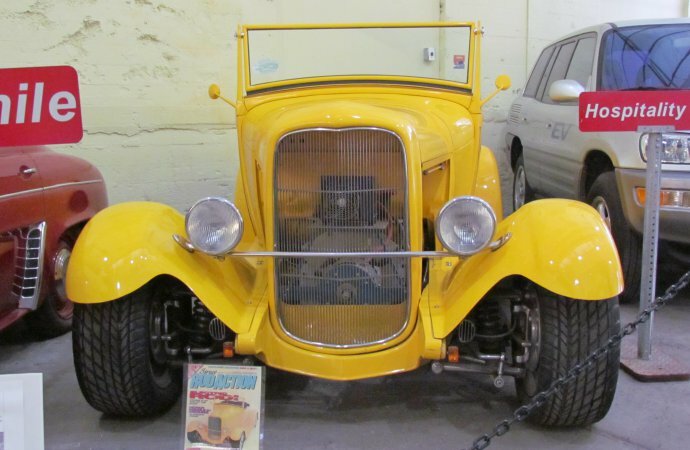 I will be putting it all up for sale in the near future.